Richard Bandler is most famously credited with the co-creation of the field of Neuro-Linguistic Programming (NLP) alongside John Grinder, with a large helping hand from Frank Pucelik. Richard has been variously described as charismatic, mysterious, brilliant and intense, controversial, a genius. 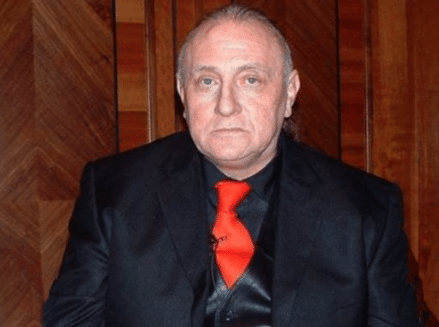 Born on 24th February 1950, Richard Bandler was a keen student of mathematics and obtained a BA in philosophy and psychology from the University of California, Santa Cruz in 1973. Whilst studying in Santa Cruz he met linguistics professor, John Grinder. Grinder recalls that in 1971 Bandler invited him to attend a Gestalt therapy group that Bandler was running with his friend Frank Pucelik. Bandler had previously studied the work of Fritz Perls on Gestalt Therapy and had begun modelling him. That is to say copying him in his process, voice tonality, language and gestures in order to produce the same successful theraputic results. Bandler was so successful in modelling Perls that Grinder confessed that he was “better than Perls at being Perls”. It was this skill of modelling others that Bandler and Grinder went on to install as the foundation of NLP. Around the same time Bandler also began modelling Virginia Satir, a family therapist. He reproduced his modelling magic with Satir. In fact, he did it so well that Grinder initially chose to model Bandler “being Satir” rather than model Satir herself. A keen musician Bandler learned to play the drums and guitar simply by listening to and emulating other musicians. He and Grinder could often be found playing the guitar together, improvising and “feeling” the connection. Their relationship grew. They saw the world as their playground and began looking for ways to put all of their knowledge and new skills together. Bandler co-wrote The Structure of Magic, Volume I with Grinder, it was published in 1975. This book encompassed much of what they had discovered together up until this time from studying Perls and Satir – A Book About Language and Therapy. Language coming from the expertise of Grinder and therapy from Bandler’s study of Perls and Satir. Later in the same year they went on to publish The Structure of Magic II: A Book About Communication and Change. These two books became the cornerstone for the body of knowledge that is NLP. Bandler set about modelling Milton Erickson, an American psychiatrist specialising in medical hypnosis and family therapy. It was from this modelling project that he developed his skills in hypnosis and trace induction. He and Grinder published the book Patterns of the Hypnotic Techniques of Milton H. Erickson, M.D. Volume I in 1976. Ever the entrepreneur, Bandler saw the need to brand the different sets of skills that they had acquired. It was he who was instrumental in establishing the term Neuro-Linguistic Programming. Several terms were postulated, Bandler liked the term “Neurolinguisitcs” and so Neuro-Linguistic Programming as a body of knowledge was born. Bandler was keen to capitalise of the commercial potential of broadcasting his new set of tools, he set up his own company, Not Ltd in 1979. This company, along with Grinder’s Unlimited Ltd, were to form the first body of NLP, the Society of NLP in the same year. The Bandler and Grinder partnership ended with the publishing of the book Frogs into Princes: Neuro Linguistic Programming in 1979. 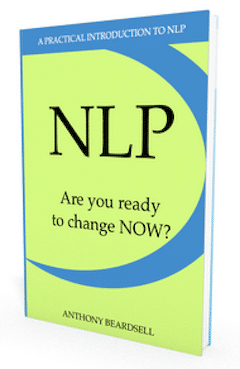 This confirmed the NLP brand and laid out a framework for the initial NLP trainings. Since then Bandler has never been far from the news. His partnership with Grinder came to an end. His split from Grinder was acrimonious and ended in mutual lawsuits several years later (1996), contesting the property rights for NLP and ownership of the Society of NLP. By this time NLP had become widely established internationally as a state of the art model for communication. 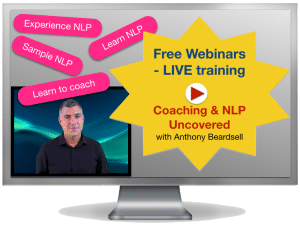 There were several hundred trainers of NLP worldwide, it was big business. Bandler caused turmoil in the industry by naming a good number of these trainers in his lawsuit. The pair eventually ended their feud by agreeing that they were co-creators of NLP and the courts subsequently ruled (2000) that NLP was information in the public domain and as such nobody owns the property rights to the framework of NLP as a whole (although certain trademarks are still recognised and of course copyright laws apply to training course material). In 1986 Bandler was at the home of Corine Christensen, the girlfriend to his drug dealer, James Marino. Christensen was a prostitute and also Bandler’s bookkeeper. Bandler and Marino were arguing. That night Corine Christensen was shot dead. Each man accused the other of pulling the trigger. Bandler stood trial for murder with Marino being the state witness. The jury reached their decision quickly. Bandler was innocent. Despite his shortcomings Bandler has continued to grow a huge following in NLP circles. We may not all like the man himself, but some obviously love what he teaches. There is no doubt that he has made a huge contribution to the industries of self development and therapy over the years. Paul McKenna was a student of his. McKenna attended one of Bandler’s workshops and was bowled over by the man and his teaching. People say that it helped move McKenna from a stage hypnotist to an agent for change. The pair have since done some work together and McKenna’s career has gone from strength to strength.